Note that Coupon System is available only on Premium Themes. When you ‘re ready to have a Premium Theme, go to our market. 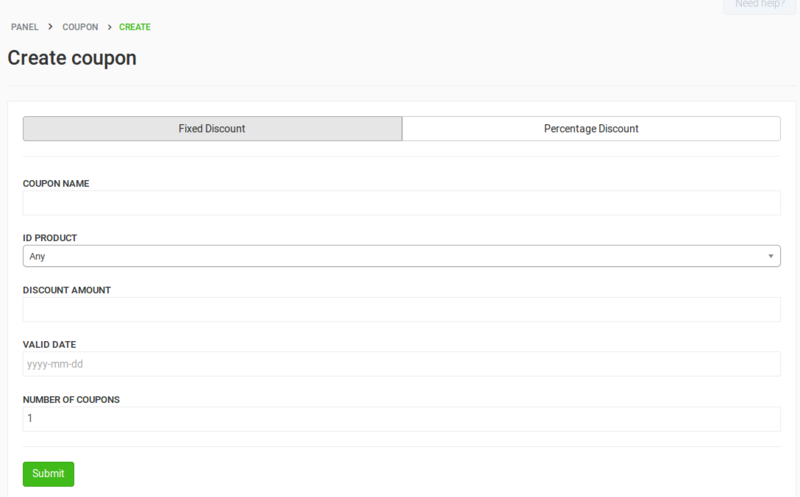 This new tool allows you to give special discounts to customers to post on paid categories, top up or upgrade their ads to feature. 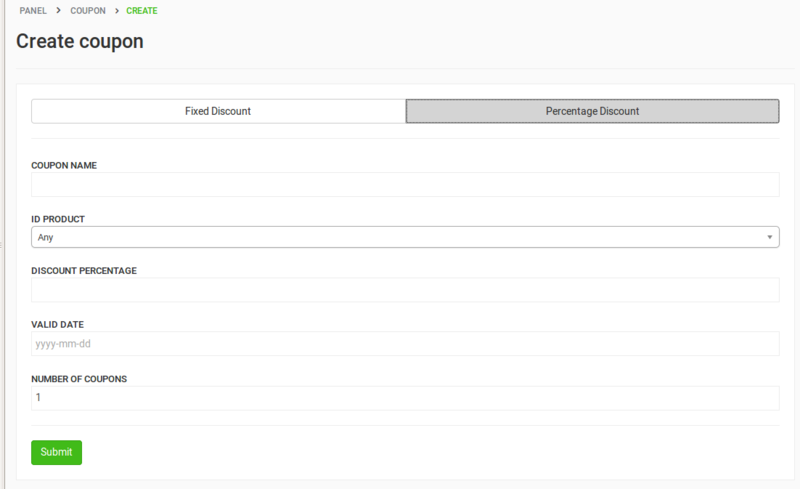 There are three ways to offer coupons: Create single coupon, bulk creation of unique coupons and import coupons by uploading a CSV file. Login to your Panel, go on Classifieds -> Coupons and click New. Fill the fields and press Submit. Name: It must be unique, cannot be repeated. Id Product: Any means will work for any product. If you choose a product, then the coupon will work only for that product. Discount Amount: (If Fixed discount is selected) Fixed amount to be discounted, ex. 3 (will discount 3$ from the total). 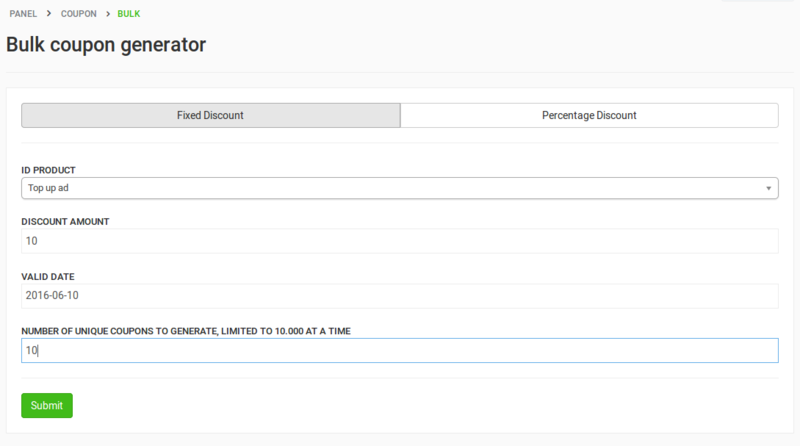 Discount Percentage: (If Percentage discount is selected) Percentage of discount, ex. 50 (will remove 3$ from a $6 order). Number Coupons: Number of times that unique coupon can be used. Valid until: Until when you can use that coupon. 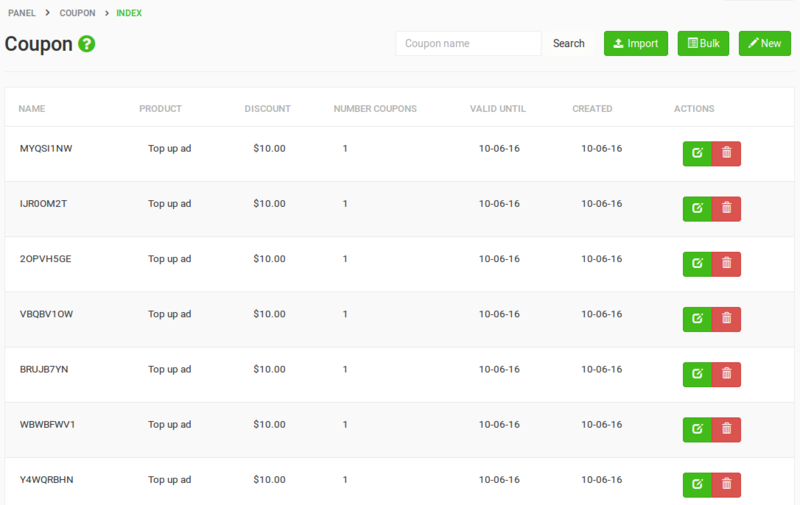 Login to your Panel, go on Classifieds -> Coupons and click Bulk. Unique coupon names will be created automatically. Login to your Panel, go on Classifieds -> Coupons, click Import, choose your CSV file and click Upload. You can use this tool for example if your provider sends you the coupons. Here’s a sample CSV file. If you made a mistake or you want to update a coupon, you can simply go on Classifieds -> Coupons and click to edit the coupon. You can edit all the fields except from the name of the coupon. 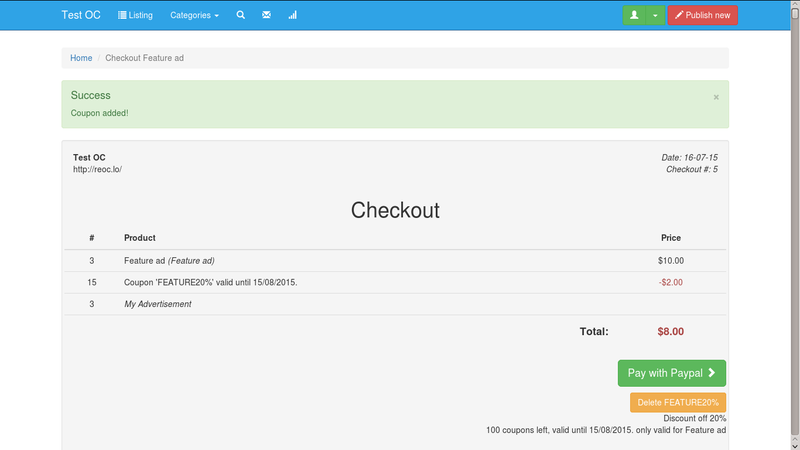 Add the coupon name in the field on the right bottom of the checkout form. 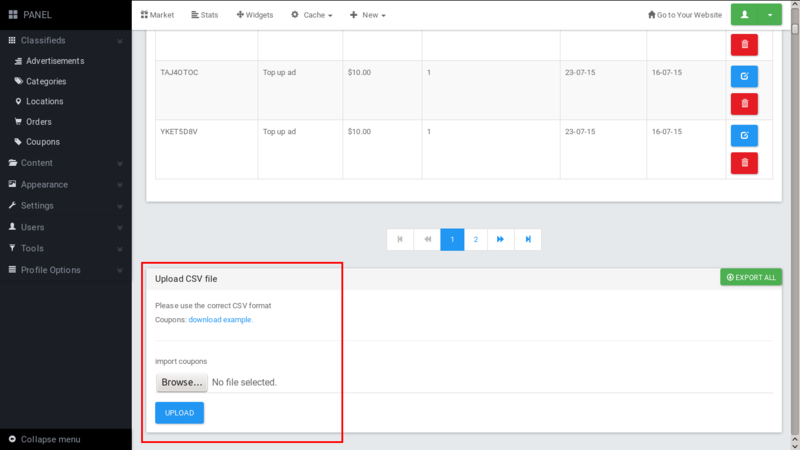 Last but not least, you can export coupons from your panel to CSV file. This will be useful for example to send those coupons to your provider.